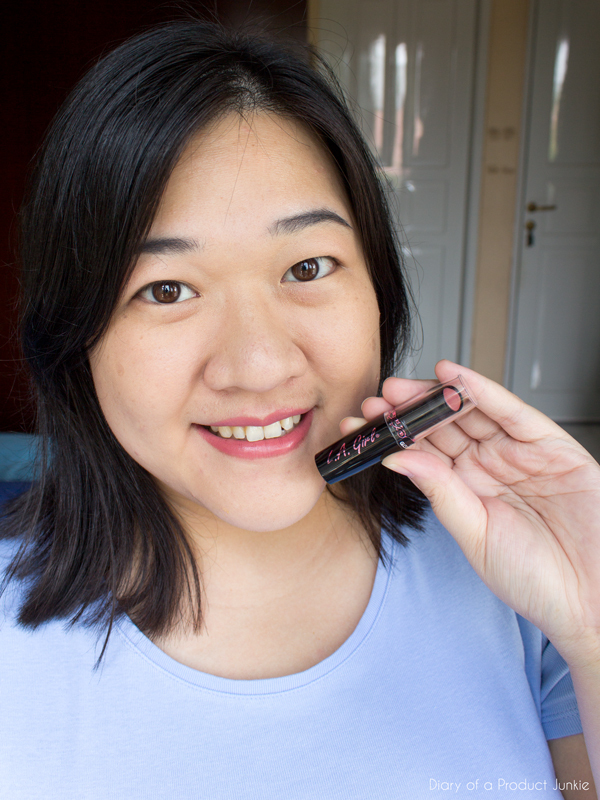 Hello, lovelies~ After disappearing from my own blog for a few weeks, I'm back (kind of) with another review. This lipstick may not be the newest one in the market right now, but it is new to me. The lipstick case is black on the bottom half equipped with a transparent cap on the top half. The brand label is printed on the sides of the black case in a metalic purple shade. It is quite sturdy since it has fallen from my clumsy hands and survived to tell the tale. Or maybe the physics is just right at that time, lol. 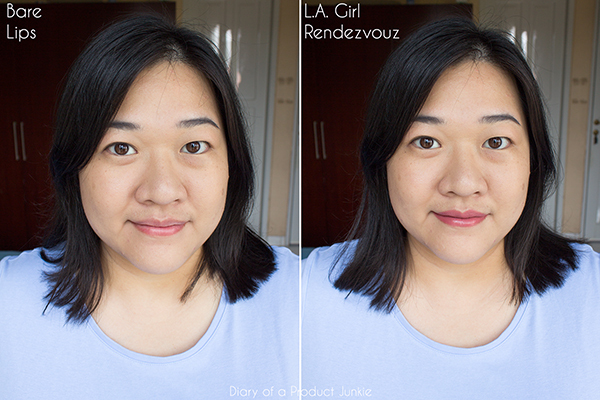 I bought the shade Rendezvouz, a reddish-brown shade with a hint of purple in it. 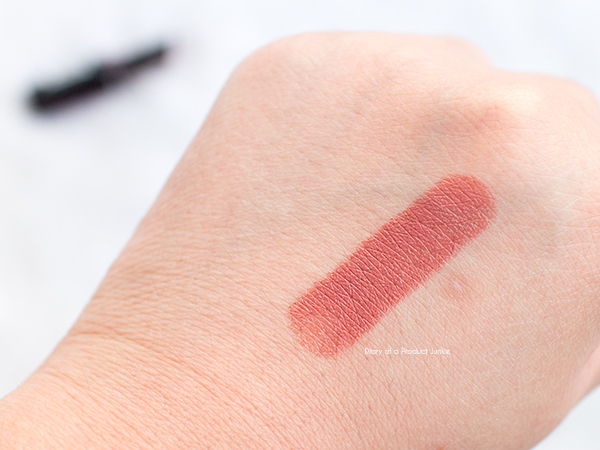 I heard that it was a dupe for the shade 1995 from Gerald Cosmetics, but it wasn't. At least, not to my eyes. 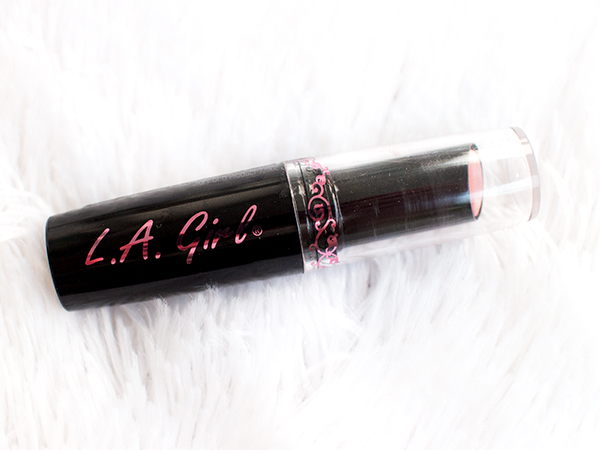 The lipstick applies smoothly and doesn't feel drying on my lips. Also, I don't need to swipe the lipstick back and forth to get an opaque shade. It stays on like most lipsticks and will disappear after a greasy meal. 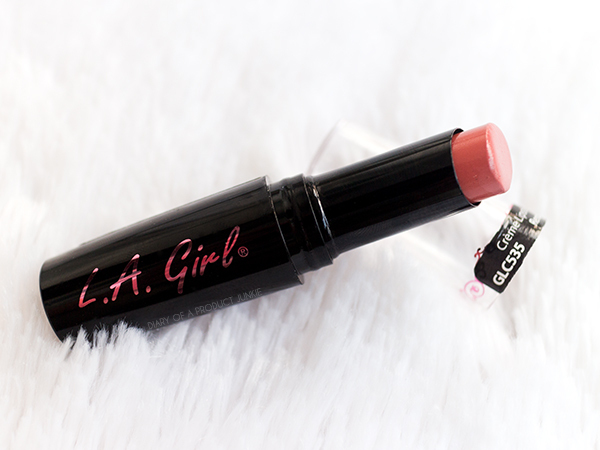 It does transfer and has a creamy finish, giving my lips a slight sheen.